If you haven't had a chance to watch Disney's Big Hero 6, you're definitely missing out. It's a great movie that can be enjoyed by viewers of all ages. 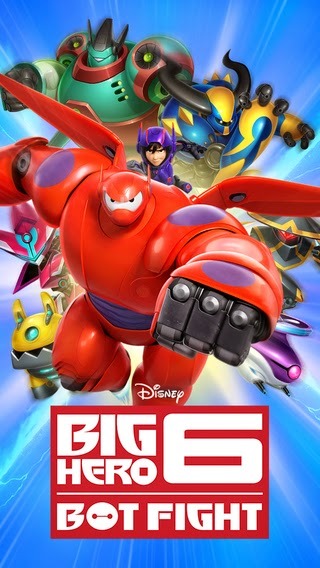 After watching the movie, I did a quick search for related apps and came across Big Hero 6 Bot Fight. I've been playing the game for about 3 months now and it's become one of my favourites. 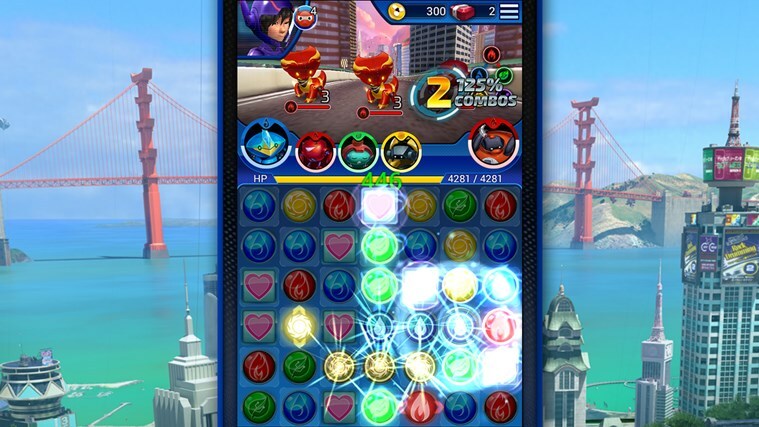 The gameplay is similar to Candy Crush & Bejeweled as it's a match 3 type puzzle game with a little Pokemon thrown in. There are over a hundred bots that you can collect and add to your team. Most bots having the ability to evolve to the next level given they are at their max level and you have collected the required parts. Each bot has a Bot Skill which can be recharged and a Leader Skill which is added to the level if the bot is selected as the team's leader. The story mode allows you to move through various missions which allow you to power up your bots. The developers also do a great job with adding special/daily events to help you along your way. Through these events you can collect extra coins & bot parts to help level up/evolve your team. I have to admit that the game can feel a bit repetitive at times, but which match 3 games don't feel that way at one point or another? I would give this game 4 out of 5 stars. This is mostly due to the game still having a few glitches here and there. The app is available on iOS, Android and Windows Phone. If you have multiple devices, you can connect the app to Facebook which will allow you to sync your game across iOS & Android devices. There seems to be a glitch at the moment with syncing your Windows device with Facebook. Feel free to comment if you have any tips on playing the game.